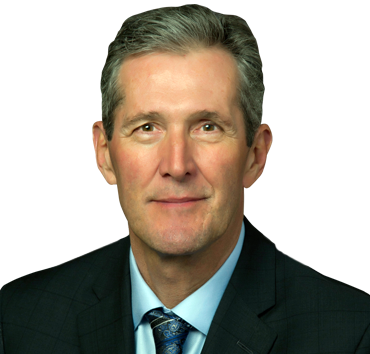 Brian Pallister is the Premier of Manitoba, the Leader of the Progressive Conservative Party of Manitoba and the Member of the Legislative Assembly (MLA) for Fort Whyte. He is a former school teacher and operated a successful financial planning business for more than a decade. Brian entered politics in 1992 as the MLA for Portage La Prairie and became Minister of Government Services in 1995. In 2000, he was elected as the Member of Parliament (MP) for Portage-Lisgar. During his 8-year tenure as an MP, he served as a parliamentary secretary and as chair of the House of Commons Finance Committee. In July of 2012, Brian became leader of the Manitoba PC Party. He was elected as MLA for Fort Whyte four months later. On April 19, 2016, he became Manitoba’s twenty-second premier, with PC candidates winning 40 of 57 seats. Brian resides in Winnipeg with his wife Esther and their two daughters, Quinn and Shawn. In July of 2012, Brian became leader of the Progressive Conservative Party of Manitoba. He was elected as MLA for Fort Whyte four months later. On April 19, 2016, he became Manitoba’s twenty-second premier, with PC candidates winning 40 of 57 seats. As premier, he is committed to making Manitoba Canada’s most-improved province by restoring the province to fiscal balance, strengthening the provincial economy, and improving outcomes in health care and education.